Our skin is an amazing organ. It provides itself with its own spa-like rejuvenation every day. In fact, scientists suggest we lose almost a million skin cells in a 24-hour period. But, sometimes our skin could use a little extra help shedding those dead and dull skin cells. That’s where exfoliation treatments come in handy. Exfoliation treatments remove dead skin cells from the surface of the skin. There are two types of exfoliation treatments – mechanical and chemical. Performed safely and correctly, exfoliation treatments can leave your skin softer, smoother and glowing. Exfoliating your skin is important for many reasons. Skin constantly generates new cells in the dermis – the lower layer – that slowly move upward to the epidermis. As your cells move upward and harden, they are shed and replaced by new cells. This process usually occurs every 28 days or longer. As we age, cell turnover slows down and causes skin to be dry, dull, and rough. Exfoliation helps prevent a build-up of these dead skin cells. And, unlike some beauty treatments, you’ll notice an instant improvement. Most exfoliation treatments you buy at a drugstore will be labeled as a “scrub” or “exfoliating face wash.” The abrasive type of material in the product removes dead skin. Depending on your skin type, most of these products are safe to use either daily or a couple of times a week. Are you unsure of your skin type or its needs? 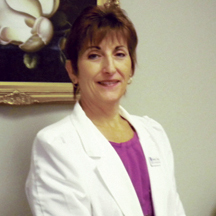 Start with a professional esthetician. After a consultation, they can recommend both spa and home treatments to exfoliate your skin. So, you’re ready to start an exfoliation treatment, but which do you choose: mechanical or chemical? Mechanical exfoliation physically scrubs the skin with an abrasive. Common abrasives are crushed pumice, apricot kernels, almond shells, sugar, and salt crystals. Other mechanical exfoliants are simple brushes or loofahs. Many mechanical exfoliants can be purchased at your local spa, drugstore or grocery store. 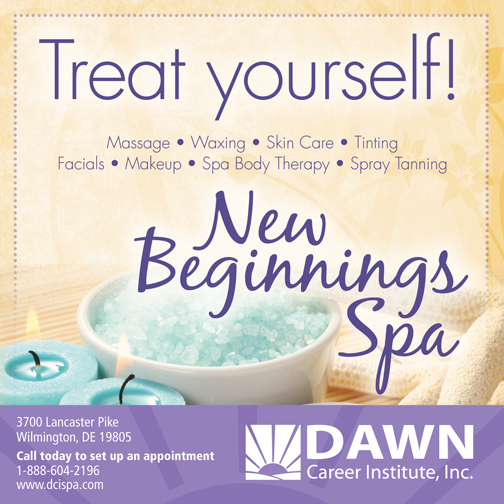 At Dawn Career Institute’s New Beginnings Spa, our favorite mechanical exfoliation treatment includes the Dermalogica Daily Microfoliant, which uses a brush and a mild product to polish the surface of the skin. Microdermabrasion is also an excellent mechanical exfoliant. This popular treatment decreases the appearance of hyperpigmentation, photo-damage, fine lines, acne scars, and other shallow scars. 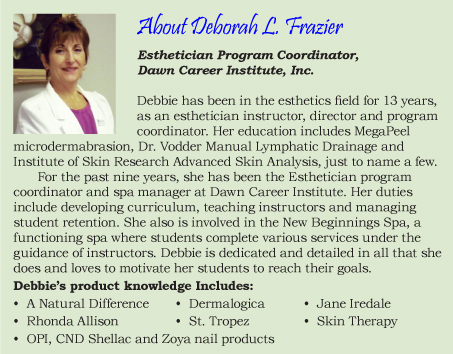 Microderbmabrasion must be performed by a licensed esthetician. Not into scrubbing away at your face? Maybe chemical exfoliations are more your style! Chemical exfoliations use alpha hydroxy acids derived from fruit, such as malic, citric, lactic and tartartic acids, to dissolve dead skin cells. These chemical peels are the mildest and produce light peels that are appropriate for acne and fine line treatment. Beta hydroxy acid and glycolic peels penetrate deeper into the pore to break down the protein in the skin. These peels offer a more intense effect and should be used for significant scarring and wrinkles. Both of these chemical peels should be performed by a licensed esthetician. The great thing about an exfoliation treatment is that it provides instant gratification. After a mild exfoliation, you can notice softer, smoother skin. After a few days, you may notice slight flaking or a tightness, but don’t worry, it means your treatment is working! A week after your exfoliation you should see a definite improvement in your complexion. If you’re new to exfoliation treatments, don’t get overwhelmed! Most treatments are safe, simple and affordable. Whether you choose to try an at-home treatment or a professional treatment, consulting your esthetician is a good place to start. With the right information, you be on your way to revealing a glowing, fresh complexion! Clients may come to you for many reasons, and you can have the opportunity to help them reach their goals. When your client smiles with satisfaction, it will be worth it.